Are you well-padded and want to lose a few pounds? Get Fit turns working out and getting in shape into fun and entertaining mini games. In each of the mini games you accompany a character on it's way from being chubby to a real beefcake. You can test your reaction in sports like rope skipping, lifting and the famous hula hoop. The longer you play the fitter your character gets. Just like in real life getting fit is easier as staying fit. If you start to slack off and skip your training for some days your character will gain weight again. So make sure to come back every day and work out! 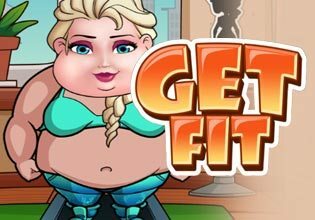 Play Get Fit now for free!